About: This is a grand book of the coffee-table variety which has received glowing reviews everywhere. In its 400-page extent, the author visits over forty of Ireland’s most beautiful gardens. These range from demesnes attached to ‘Big Houses’ to those of a more modern and intimate nature. Of the gardens visited and gloriously photographed, seven are located in County Wicklow and two of those are in West Wicklow. Contents: Preface — Introduction – [Grand Big Gardens] Bantry House, Co. Cork — Mount Stewart House, Co Down — Birr Castle, Co. Offaly – Powerscourt, Co. Wicklow — Killruddery, Co. Wicklow – [Romantic Interludes] Altamont, Co. Carlow — Mount Usher, Co. Wicklow – [Taming the Wilderness] Caher Bridge Garden, Co. Clare — Kylemore Abbey, Co. Galway — Ilnacullin, Co. Cork — Rowallane Garden, Co. Down — Glenveagh, Co. Donegal – [Painting with Plants] Mount Congreve, Co. Waterford — Talbot Botanic Gardens, Malahide, Co. Dublin — The Dillon Garden, Dublin — Hunting Brook, Co. Wicklow – [Lovely Day for a Walk] Woodstock, Co. Kilkenny — Tullynally, Co. Westmeath — National Botanic Gardens, Kilmacurragh, Co. Wicklow – [A Few Follies and Fancies] Belvedere, Co. Westmeath — Kilfane Glen and Waterfall, Co. Kilkenny — Corke Lodge, Co. Wicklow — The Japanese Gardens, Co. Kildare — National Botanic Gardens, Glasnevin, Dublin — Tropical Ravine and Palm House, Botanic Gardens, Belfast, Co. Antrim – [Fields of Dreams] June Blake’s Garden, Co. Wicklow — Salthill House, Co. Donegal — The Bay Garden, Co. Wexford — Lakemount, Co. Cork — Ardcarraig, Co. Galway – [Paradises Reinvented] Oakfield Park, Co. Donegal — The Master’s Garden, Royal Hospital, Kilmainham, Dublin — Kells Bay Gardens, Co. Kerry — Heywood, Co. Laois — Glenarm Castle Walled Garden, Co. Antrim – [Good Enough to Eat] Ballymaloe Cookery School, Co. Cork — Glebe Gardens, Co. Cork — Dunmore Country School, Co. Laois – The Gardens: contact information – Select bibliography and sources – Index — Acknowledgements. WW Connection #1: Hunting Brook Gardens, Lamb Hill, Blessington is described and pictured on pages 184-191. WW Connection #2: June Blake’s Garden, Tinode, Blessington is described and pictured on pages 286-299. Extra #3: Contains 250 large colour photographs. Publisher / Place of Publication: The Lilliput Press / 62-63 Sitric Road, Arbour Hill, Dublin 7. About: This is just one chapter in a guidebook that lists and details, on a county-by-county basis, more than 300 forests and woodlands in Ireland that are open for public access. 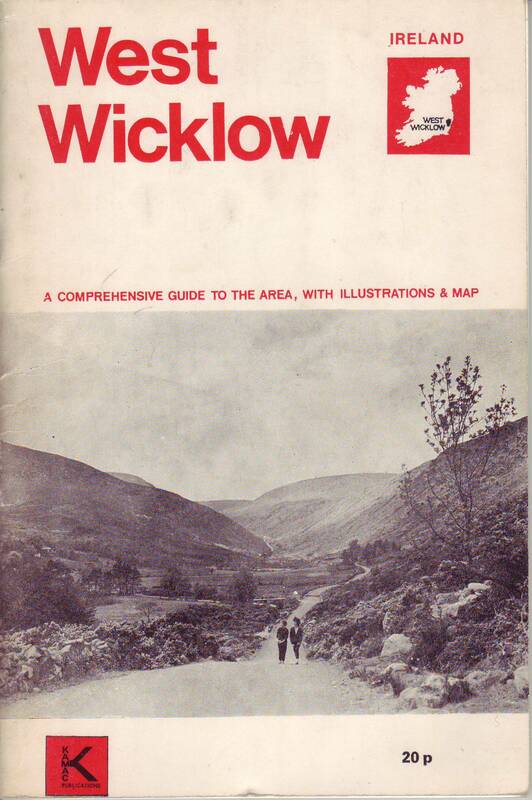 The author, who describes 27 woodlands in Wicklow, comments that “Wicklow is regarded as the home of Irish forestry. It has maintained its links – however tenuous – with the great primeval forests”. 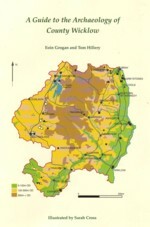 Contents Aughrim [Sean Linehan Walk] – Avondale – Ballinafunshoge – Ballinastoe – Ballygannon – Ballymoyle Hill – Baravore – Cloghleagh — Cloon-Oak Glen – Coronation Plantation — Crone – Deputy’s Pass – Devil’s Glen – Djouce – Glenart Wood – Glendalough – Glen of the Downs – Kindlestown – Kippure – Knocksink – Meetings [Avoca] – Mount Kennedy – Rath Wood – Russelstown – Tomnafinnoge – Trooperstown – Vale of Clara. Extra #1: Includes plans of each woodland, colour photographs and county map. Creator / Author: Con Costello, illustrations by Maeve Costello, maps by Seán Byrne. 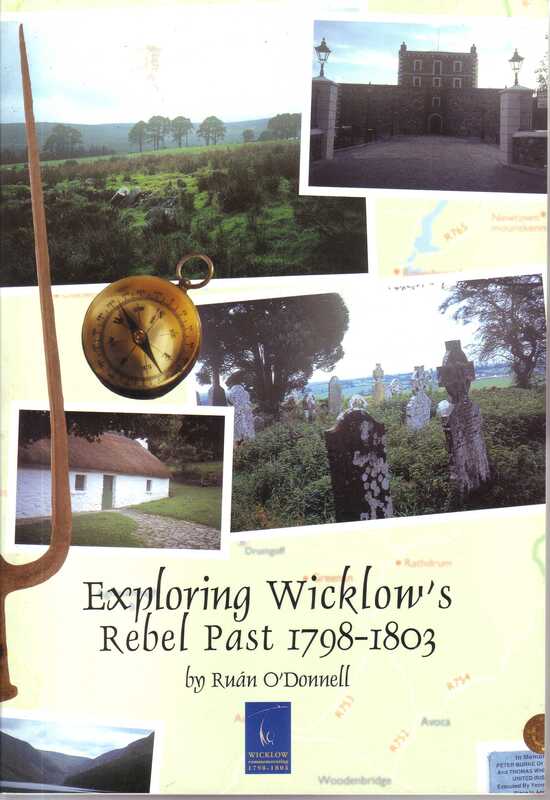 About: The bulk of this publication consists of an A-Z of places in Kildare and West Wicklow with an explanation of each placename and, where warranted, further details of its history and interesting features. It is a nice introduction to the area for tourists and newcomers and even natives will find much of interest. 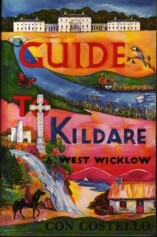 Chapters: Acknowledgements — Introduction — Maps — Gazetteer – What to do in Kildare and West Wicklow — Useful Telephone Numbers — Glossary — Chronology — Some publications of Kildare interest. Extra #1: includes several black & white illustrations of local landmarks. Extra #2: includes maps of the areas covered.